By Ritu Raj Subedi (8 October 2018) – With China’s Belt and Road Initiative (BRI) marking its fifth anniversary, Nepal and China have witnessed a flurry of activities aimed at elevating their bilateral relations to higher level. Nepal’s dignitaries, including the vice president, speaker, former prime minister, chief minister and top leaders of the ruling party recently visited China and participated in an array of programs to boost diplomatic, political and cultural ties between the two nations. “It is the common goal of the Nepali and Chinese leadership to expand the multidimensional relations in the Himalayan region through the BRI. 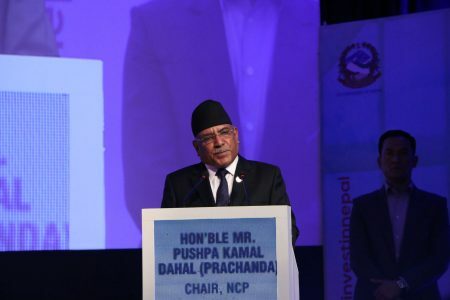 It has created various opportunities in trade, commerce, connectivity, infrastructure development and people-to-people relations between the two nations,” said Krishna Bahadur Mahara, speaker of Nepal’s Parliament. 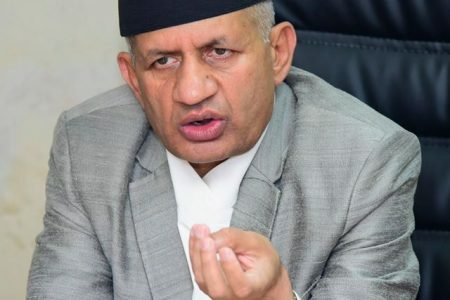 Nepal’s aspiration to have meaningful participation in the BRI has gained momentum with the finalization of the protocol of the Transit and Transport Agreement (TTA) early this September. As per the agreement, China has allowed Nepal to use its four sea ports and three dry ports to trade with other countries. Nepal has access to Tianjin, Shenzhen, Lianyungang and Zhanjiang (seaports) and Lanzhou, Lhasa and Shigatse (dry ports) to conduct trade with third countries. This has practically ended Nepal’s dependency on India for the export and import of goods to and from other countries. The historic accord allows Nepal to trade with North East Asian countries. Similarly, Nepal has access to the Chinese territory through six checkpoints. In 2016, Nepal inked a trade and transit treaty with China during Prime Minister Khadga Prasad Oli’s first visit to Beijing. The protocol deal marks the conclusion of the last leg of the trade and transit treaty. Nepal looked to China for economic survival after India imposed a blockade on its small neighbor over the promulgation of the new constitution. The embargo came when Nepal was struggling to recover from the 2015 Gorkha Earthquake that killed over 9,000 people, injured many more and destroyed houses and infrastructure worth billions of rupees. Protocol to TTA is likely to establish Kathmandu as the commercial hub, a status it enjoyed during different periods of history. Kathmandu was on one of the ancient Silk Road routes that started from Chang’an (now Xi’an) in China and ended in Rome. But it lost that commercial glory as the Rana regime (1846 -1951 AD) closed down the Lhasa route in collusion with the British East India Company. Nepali traders were forced to use the Calcutta port for international commerce. Its domestic industries and market collapsed with the flood of British products into local markets. With the full implementation of the protocol to the TTA, Nepal can diversify its trade and ensure energy security, but it must build better road and railway infrastructure to use these entry points effectively. Nepali traders haven’t had smooth access to Chinese ports in the past, but now they have a new opportunity if they can surmount the initial challenge of building better infrastructure. 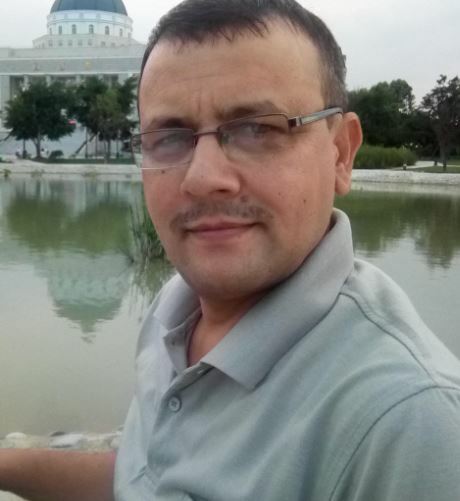 The BRI can potentially catapult Nepal to a strategic force to be reckoned with in the region. 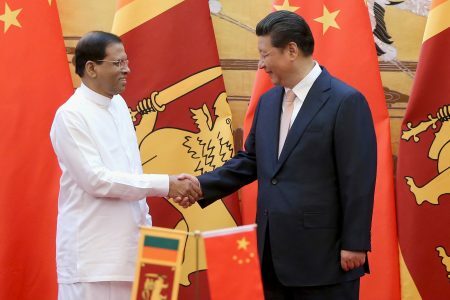 For China, Nepal stands as the gateway to South Asia, particularly the vast Indian market and its northern states of Bihar and Uttar Pradesh. The proposed Kerung-Kathmandu railway is considered a game changer in Nepal’s quest for economic prosperity and happiness. Its geostrategic implications can be inferred from India’s moves to check China’s growing influence in Nepal. To stop Nepal’s tilt towards China, India announced that it would construct the Raxual-Kathmandu railway using its own grants. Meanwhile, the Nepal and Chinese governments have accorded top priority to constructing the Kerung-Kathmandu railway that ensures the supply of fuels and trade of goods from third nations. “The construction of Kerung-Kathmandu railway is our priority and we are working on it,” Qi Zhala, chairman of the Tibet Autonomous Region (TAR) told a Nepali media delegation in Tibet. Once this ambitious railway project comes into operation, this will not only open new avenues of trade, commerce and tourism for Nepal, but will also enable China to boost ties with South Asia.